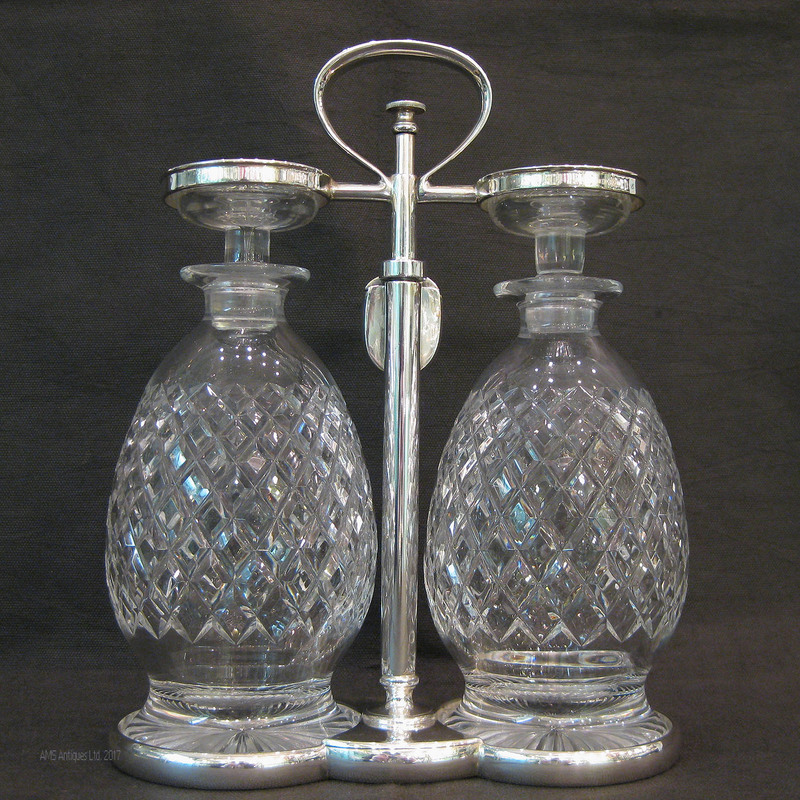 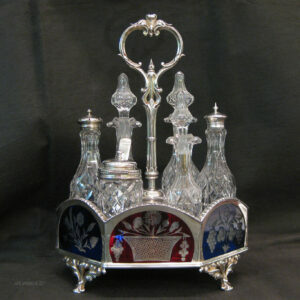 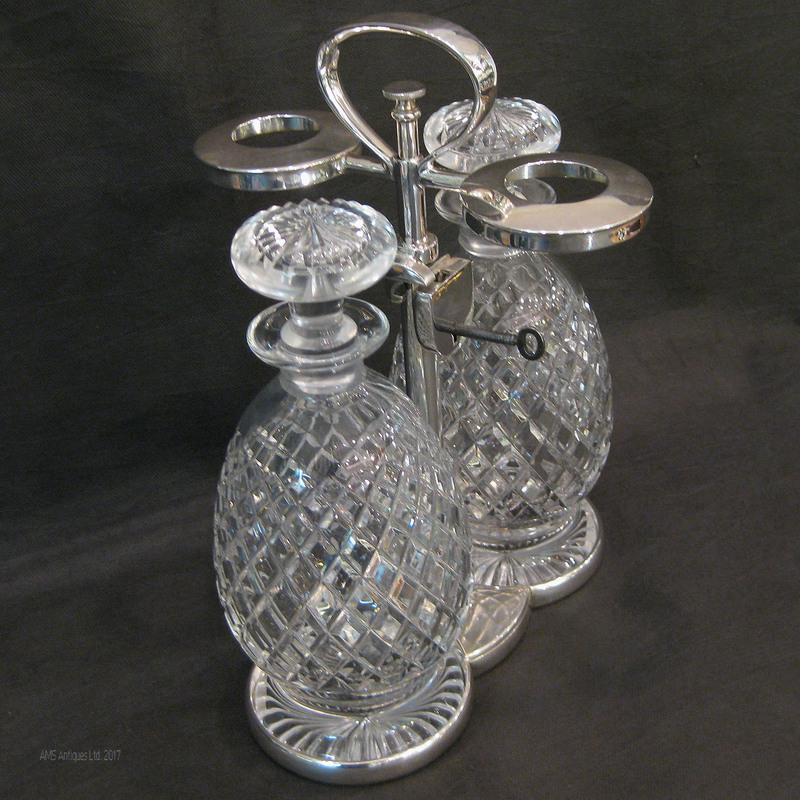 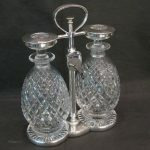 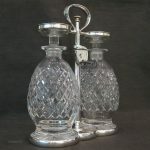 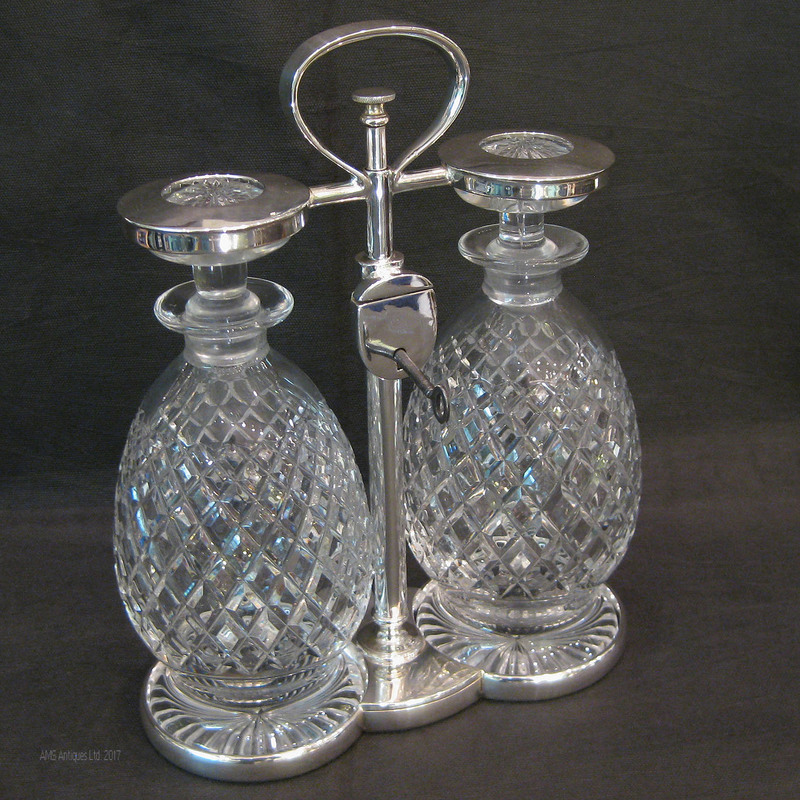 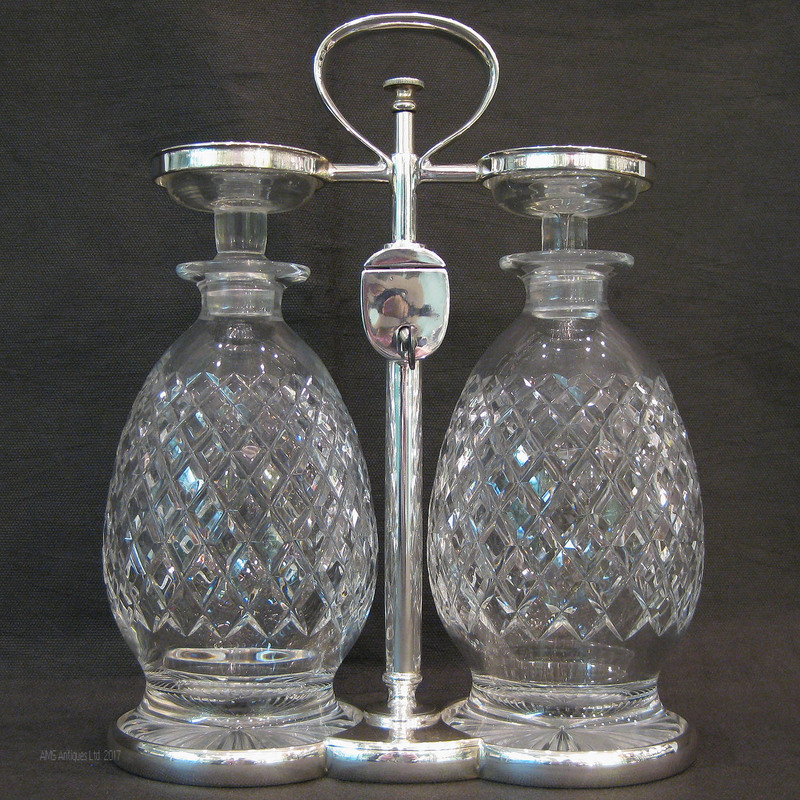 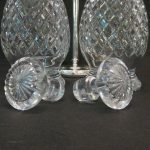 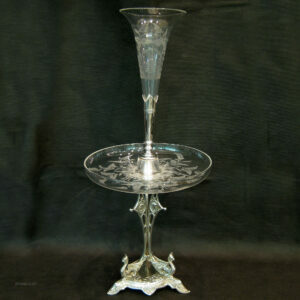 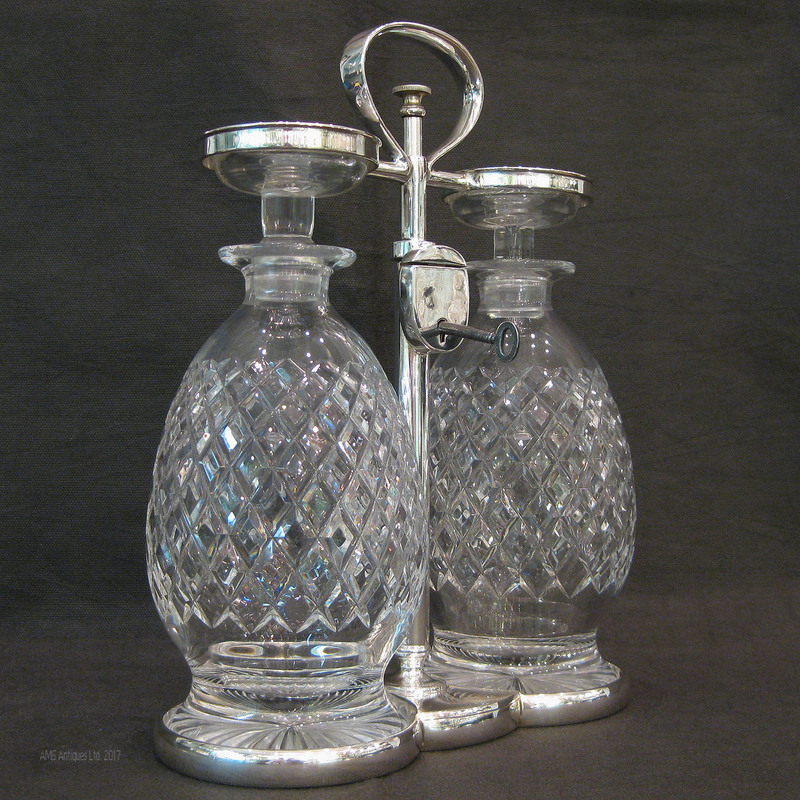 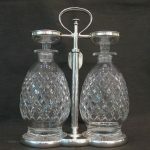 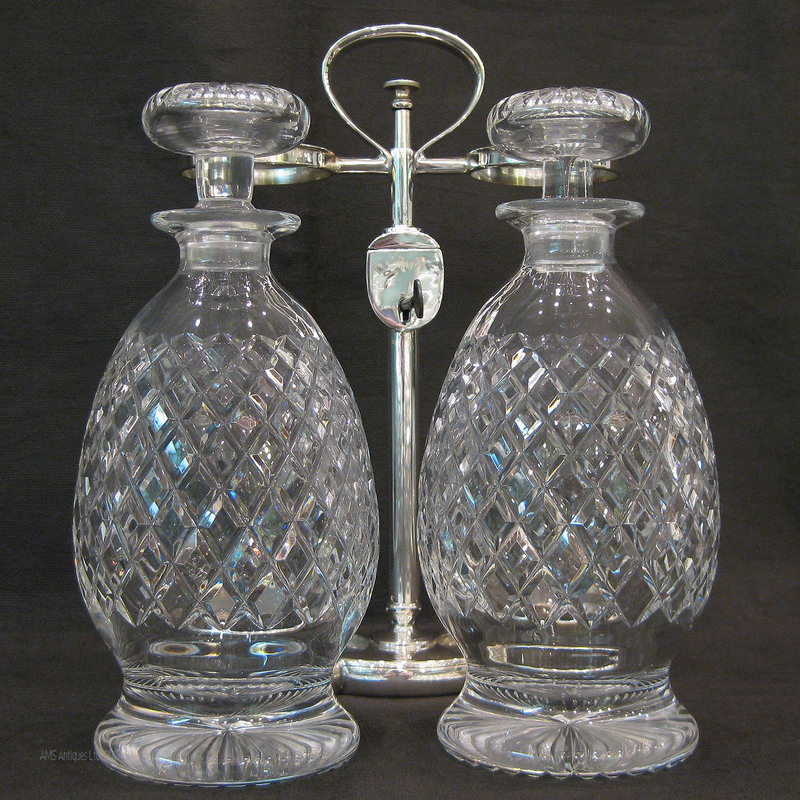 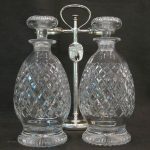 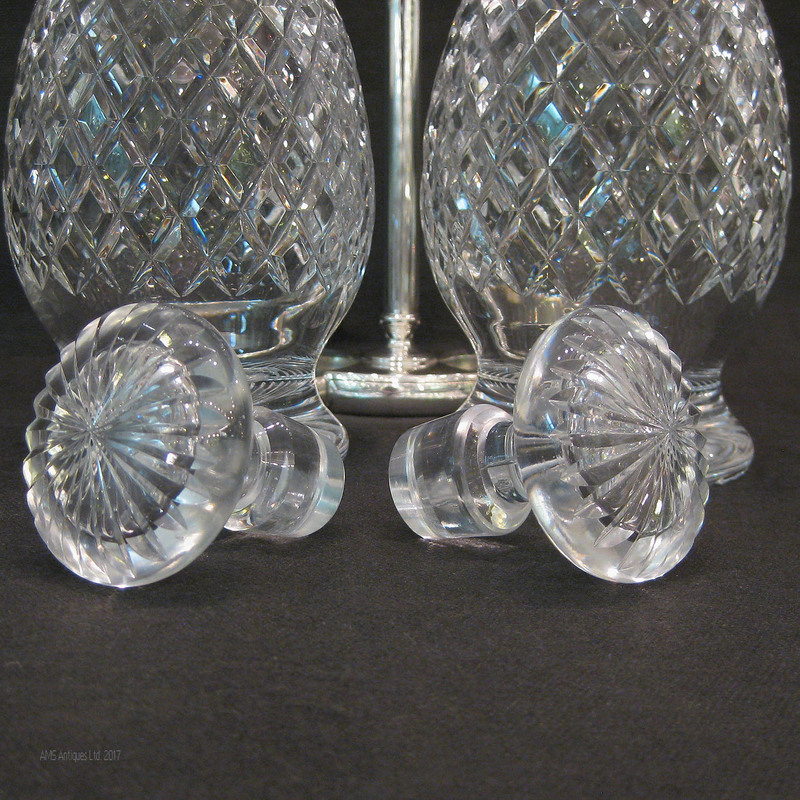 A pair of cut crystal decanters on a locking silver plated stand. 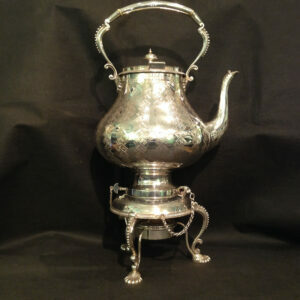 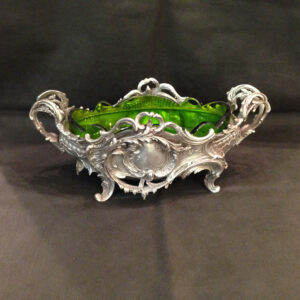 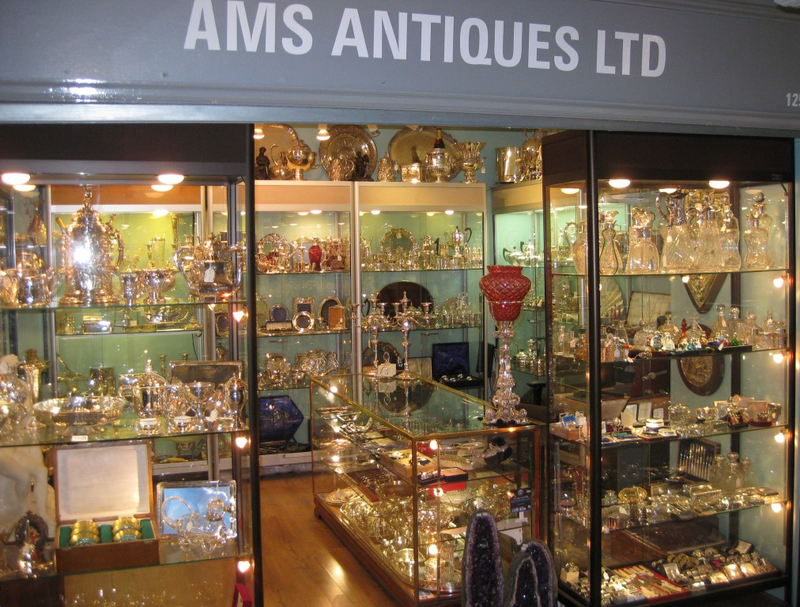 This is a rare item in exceptional condition including original key. 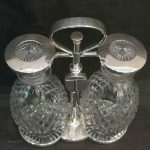 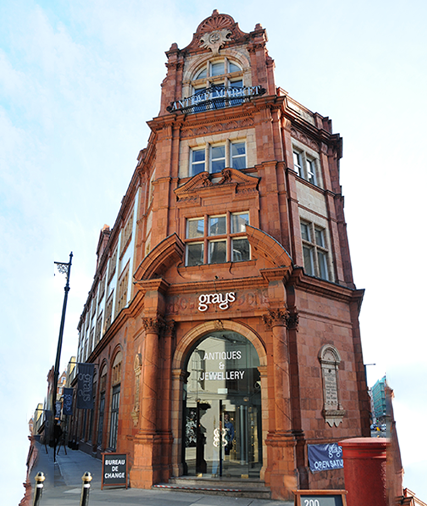 Made in Sheffield in 1890 by Hukin and Heath.